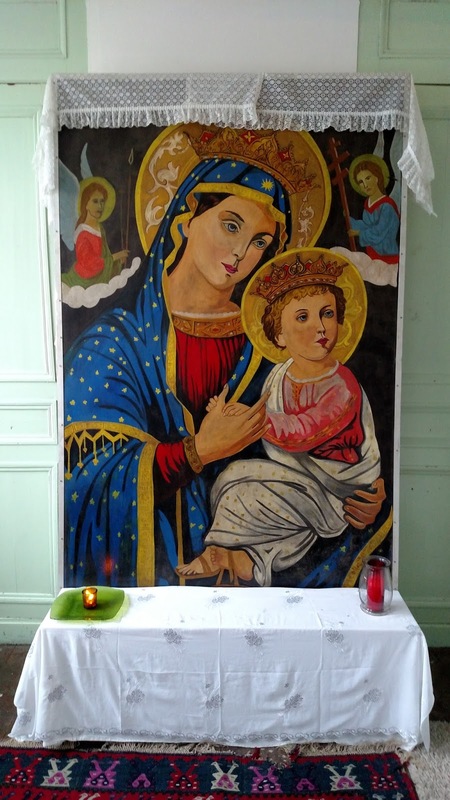 Arriving in Calais, France, to live for the month of January at the Maria Skobtova Catholic Worker House, I immediately faced two challenges. Over 400 migrants have been documented in Calais recently, with more arriving every day. People who help migrants are under surveillance. “Don’t open the door to the police,” I was told. It was a daunting caution. The other challenge was the voice of Tina Turner singing her 1984 torch song “What’s love got to do with it?” Just about everything, I decided. At that point I had no idea what I was facing, I felt intimidated by language barriers, the armed gendarmes, and wondering what in the world I could do to help in this situation. But I knew one thing I could offer was my love. The house hosts many young migrants—16 of them in a three-bedroom house. I was lucky having only two roommates. One extremely cold night we had 21 young Eritreans in the house. With one toilet and one shower it made for a highly-negotiated life. But it was luxury compared with the Jungle and the camps where many stayed. I listened to the young people’s stories of their families, their travels across the Sahara Desert and Mediterranean Sea watching acquaintances die and be ejected from truck or boat like refuse. At night, they would dress warmly and head out to try and “pass” to UK hidden in trucks crossing on the ferries or trains. They had to navigate snarling dogs, guards with cattle prods. These children wanted only to be with their families and to have the hope of peaceable futures. "OUR LADY OF THE JUNGLE"